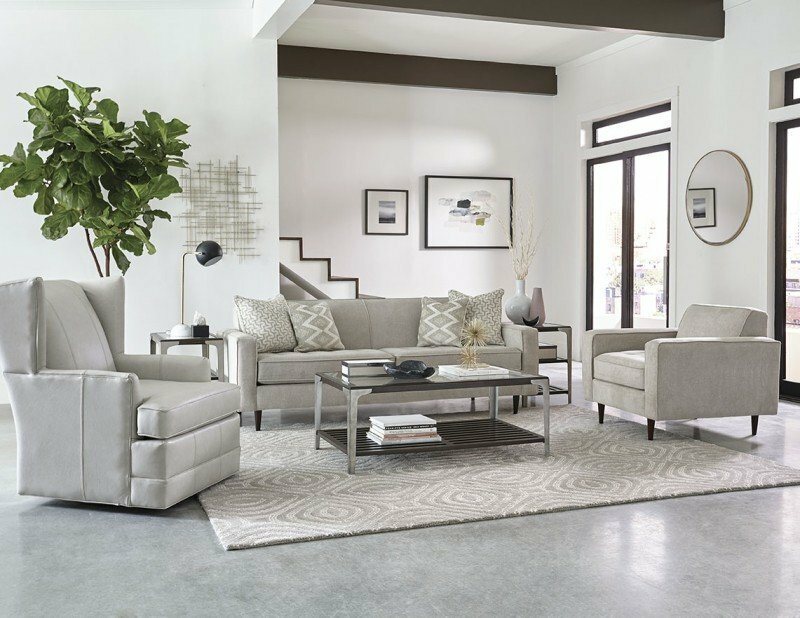 Icey blues, cool grays, and white accents are beautiful, subtle colors trending this season in interior design. Shiplap walls are going nowhere anytime soon, and countless interior designers are still dreaming up rooms with these elements. 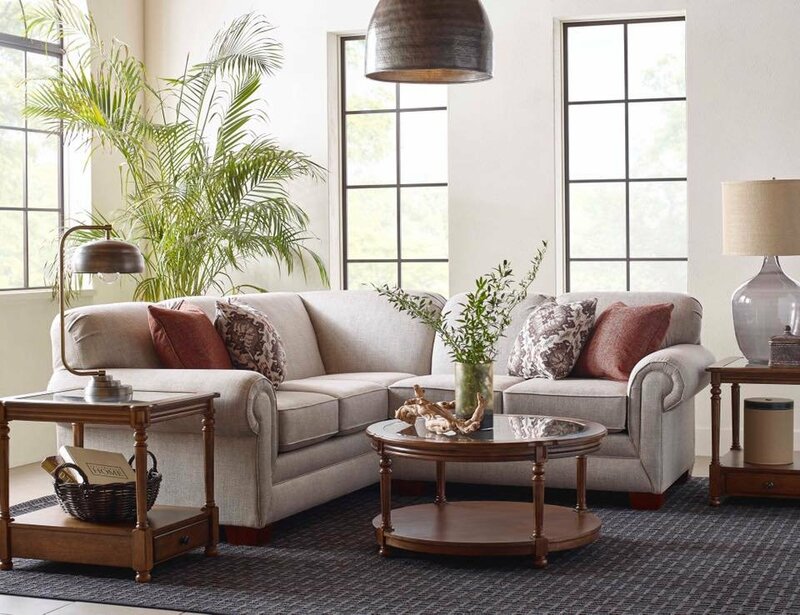 When you create a room with cool elements, you’ll want to make sure to include a house plant or two to soften the look. 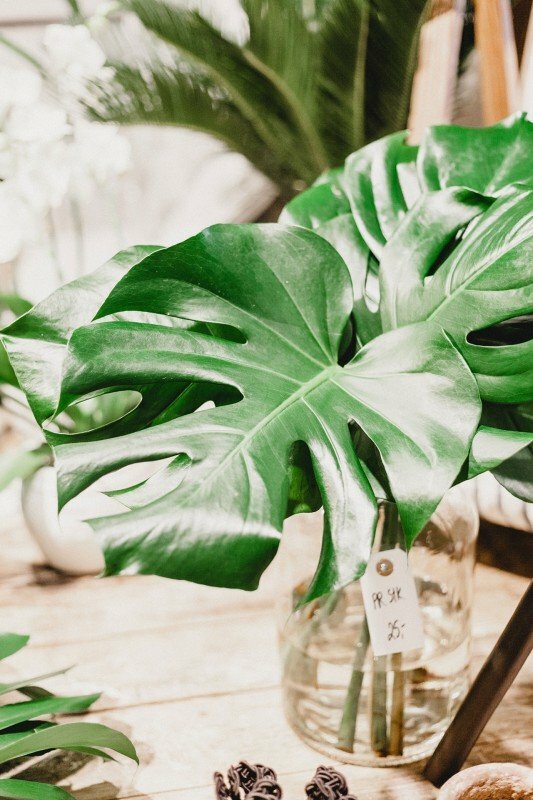 A Monstera plant has beautiful, broad leaves that can add character to any room. You’ve probably noticed this plant in your Instagram feed or on the pages of interior design magazines recently. 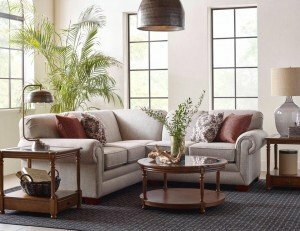 Here are two England Furniture pieces that can help complete a cool, calm and collected style this winter. 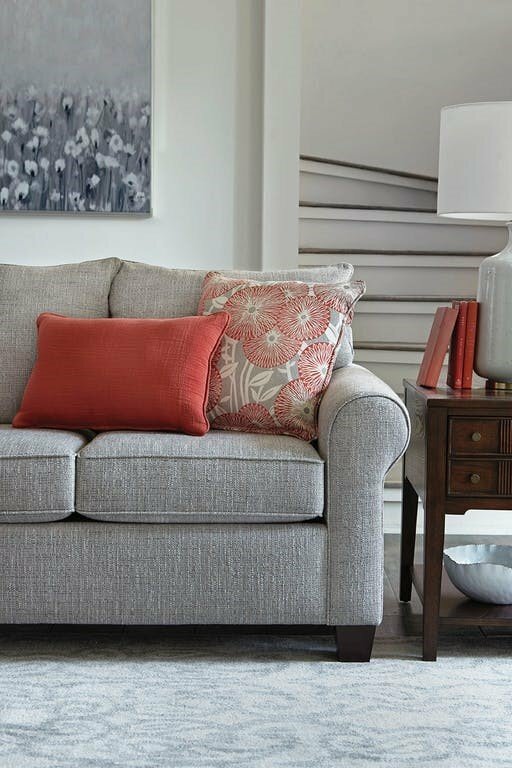 When choosing a chair for your home, you’ll want to keep function in mind. 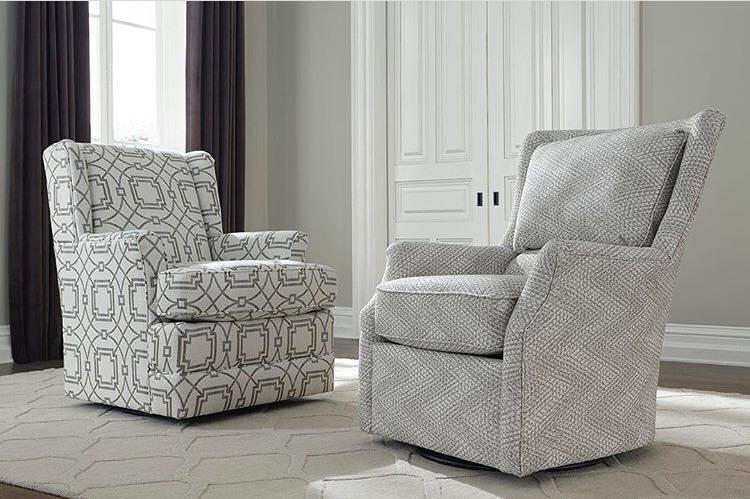 Swivel chairs add a dimension of versatility that appeals to many, especially when you have an open floor concept. 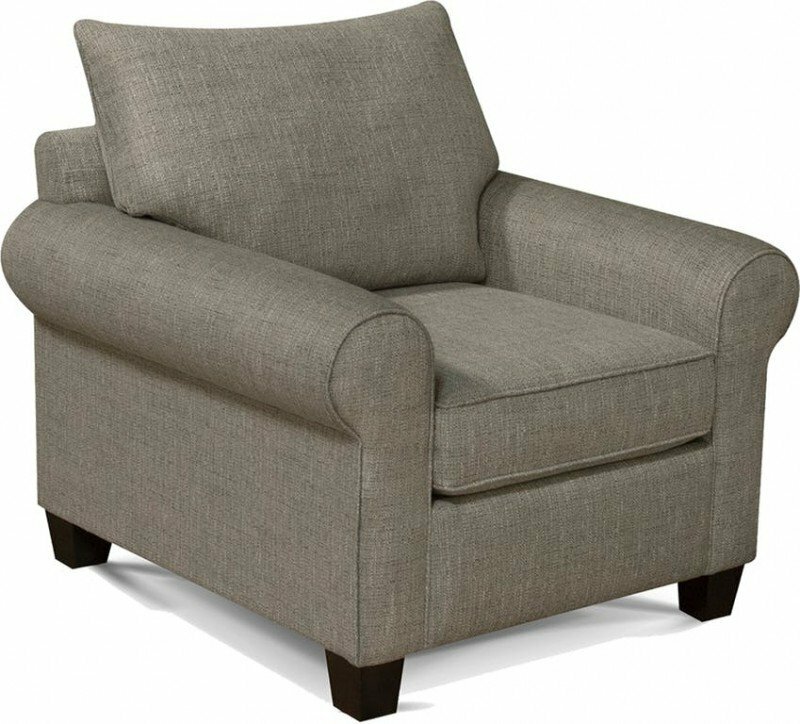 Swivel chairs enable you to move around without scuffing up hardwood floors. They’re also great on game nights with the family or social events entertaining friends. 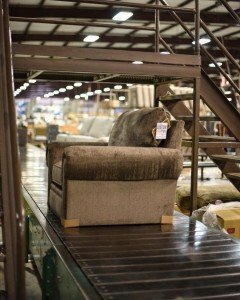 These chairs are not only crafted beautifully, but they are also upholstered with a gorgeous fabric. 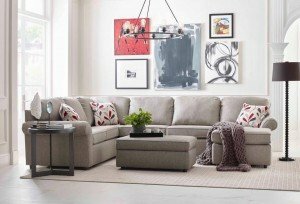 If you are looking for more design inspiration, we are always sharing fun ideas on the England Furniture Facebook page! The Rosalie Sectional by England Furniture is a unique piece created for the interior designer hidden inside us all. 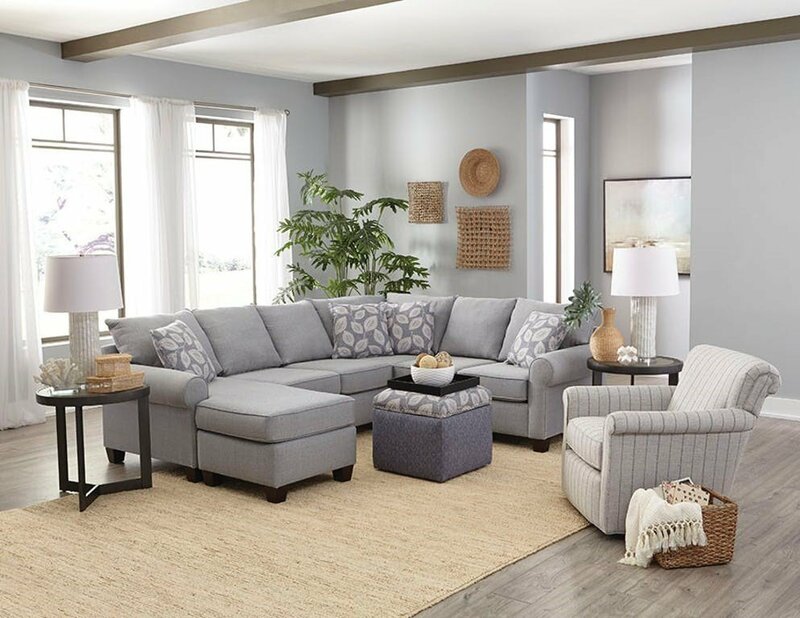 The features of this sectional give it an edge that sets it far and above many sectionals with more simplified traits. 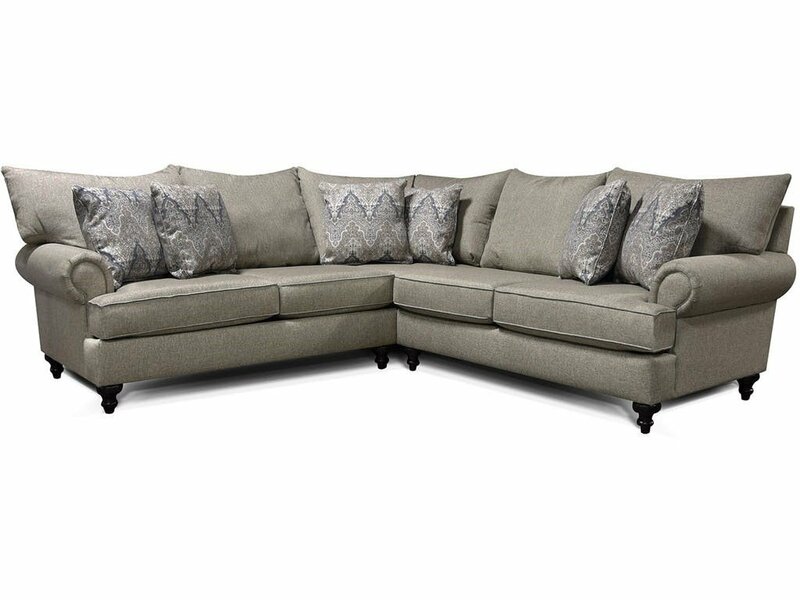 The loose pillow back cushions give this sectional extraordinary character, and they would be great for building pillow forts with the kids! Rosalie’s elegant rolled arms compliment the turned wooden legs, which give it an added level of interest. 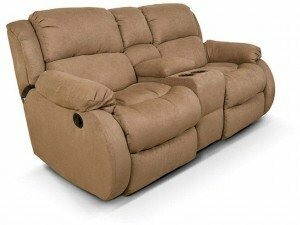 The seat cushions are upholstered on both sides, so you can flip them for years of comfort. 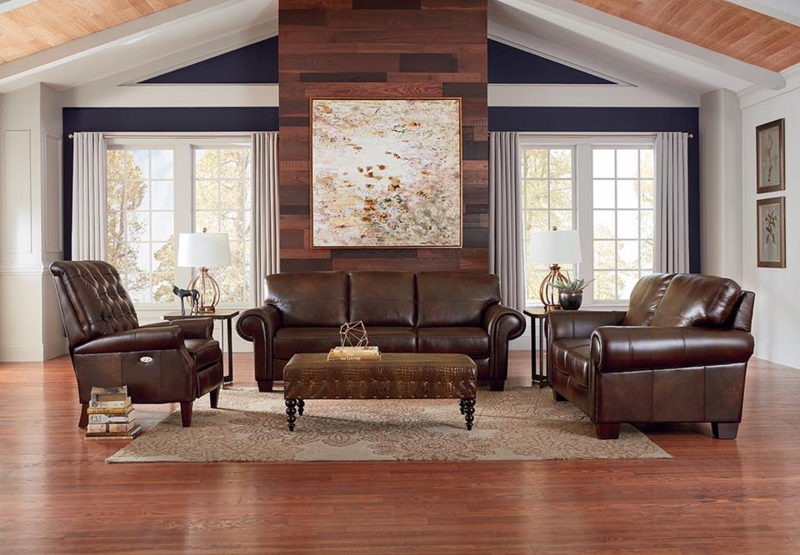 With over 400 fabrics to choose from, you can find the perfect color to suit your needs. The Rosalie collection is complete with the chair and sofa. 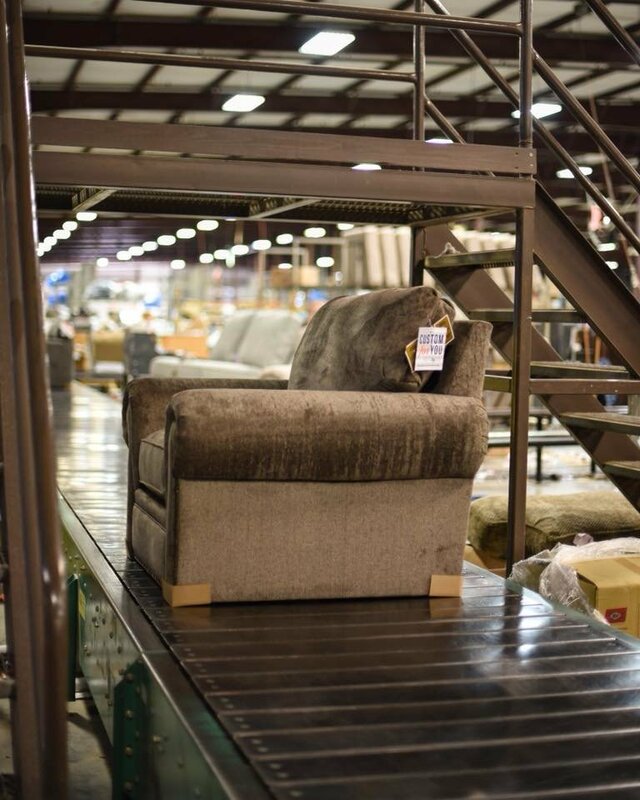 England Furniture takes pride in the work that goes into every piece. 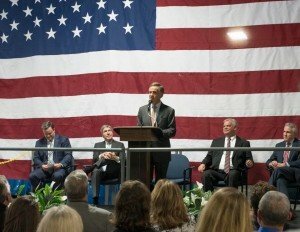 All the furniture is made in America in a factory in Tennessee. 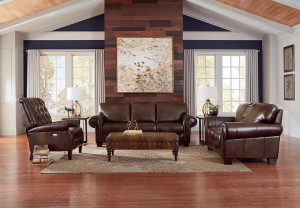 One of the perks of choosing England Furniture is the three-week guarantee—in one month, you’ll have the furniture you’ve been searching for.